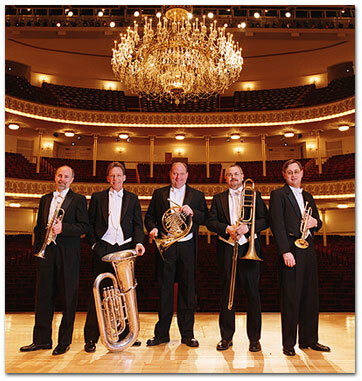 "Whatever the tune, the brass quintet plays it on its own terms... a sense of five playing as one." "After hearing the brass quintet in all their many styles, no one could question their rank as virtuosi... a real delight, played with such brilliance." "They make a glorious noise! They've made brass shine in the Queen City." "A Mother Lode of musical riches." "The Musicians combined talent, hard work, and a mellow sound." "The brass quintet arrangements by Christopher Swainhart were imaginative and captured the essence of the music with about one tenth of the instrumentation."